Chaotic Moon Studios has unveiled a prototype for a new project it is working on - Freewheel is a fitness tracker for use with a wheelchair. The device is designed to measure fitness related factors that the average tracker doesn't take into consideration, which are more useful for people in wheelchairs. 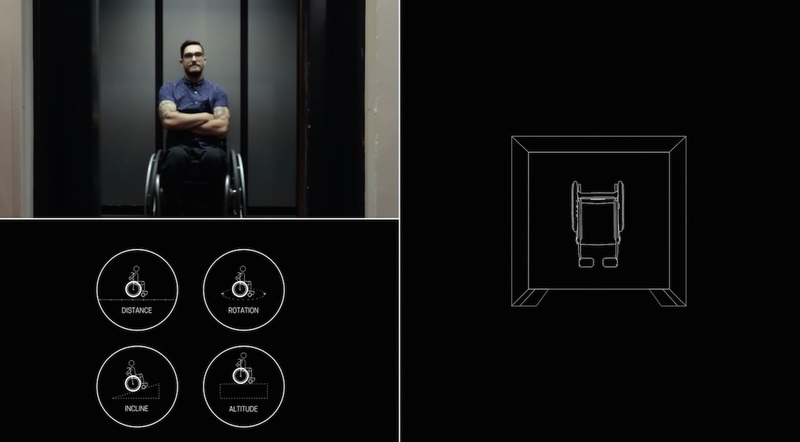 One of the company's content strategists Tyler Hively, a wheelchair user himself, came up with the idea when he realized that there wasn't a fitness tracker suitable for people in his situation. Hively collaborated with Chaotic Moon's BASE innovation lab to come up with Freewheel. The device will be able to take into account the additional muscle use needed to move the chair across different terrain. It attaches to a wheelchair and uses a gyroscope, accelerometer, barometer, and Hall effect sensors to identify speed, acceleration, altitude, incline and decline. Freewheel will be able to transmit data to wearable devices via Bluetooth for heart rate monitoring and will connect to smartphones to send notifications and alerts to the users. Because wheelchair users don't necessarily have their hands-free, audible alerts are part of the package. Over time, the company expects Freewheel to gather important information for cities and mountains that can be used for a number of different things. As the user travels around, the device collects terrain data, which can then be used to determine the best route for hikers, skateboarders, bicyclists, and more. "Project Freewheel is something that we think could affect a lot of people's lives and do good for the world," said Chaotic Moon CEO Ben Lamm. In a statement to TechCrunch, Lamm noted that the company already has "gotten our patents straight," and the device is near completion. "You can probably expect to see it available in the next few months. Freewheel is just one example of how the tech industry, and wearable devices in particular, can have a positive affect on improving our lives. Whether it is a band-aid style device for tracking glucose, or a monitor for measuring vital signs on the battlefield, wearable devices could save your life.